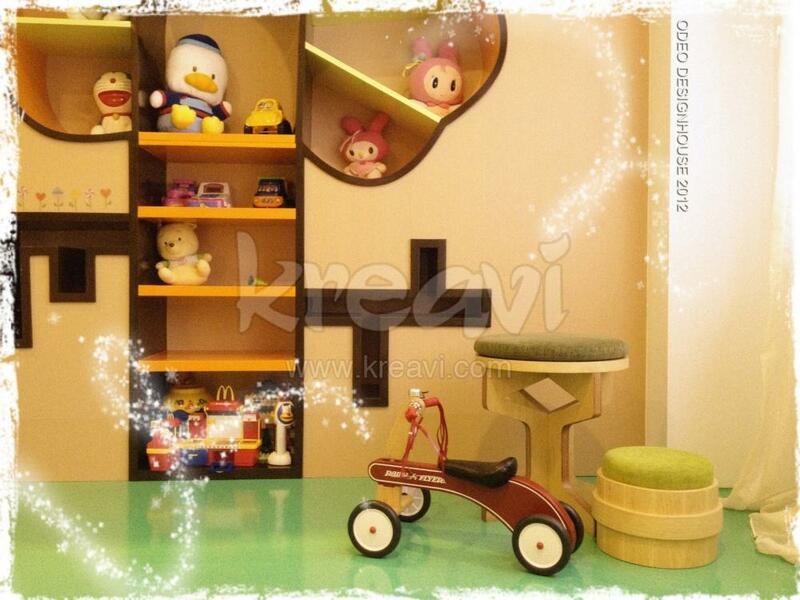 Design of this playroom is inspired by Central Park in New York. We design a storage display cabinet that is graphical & 2 dimensional in nature, as an abstraction of the trees in Central Park. These storage cabinet is functional and it also gives a playful environment in the room.